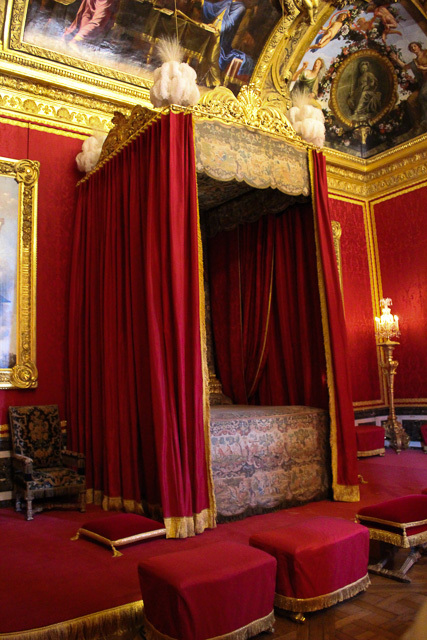 Château de Versailles is a major attraction for tourists in the Paris region and it should be; The palatial property is quite magnificent with it's sprawling estates and opulent furnishings. While the interior itself might feel ostentatious, it's a sight to behold. We visited on the shoulder of the busy travel season and despite arriving early with tickets in hand hardly after opening hour, it was packed! 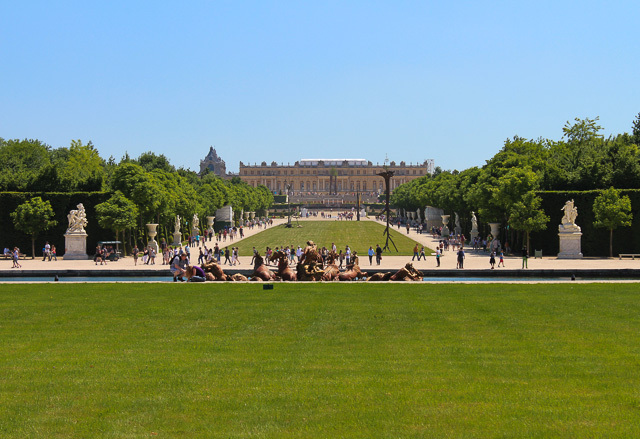 I was prepared for it - in fact, I've found the same of most tourist sites in Paris - so despite being shoulder to shoulder with school groups and travellers, we remained relatively patient. (Minor grumbling ensued when I continually found myself behind a woman who insisted on recording her visit with her iPad held high above her head, ruining any opportunity for photos.) 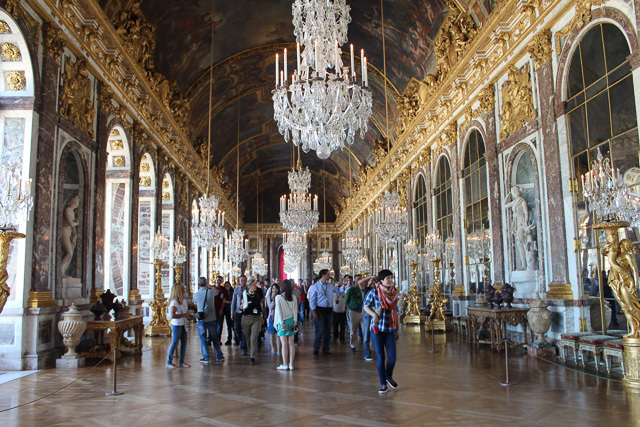 But, we followed our audio guide, revelled at the sheer volume of gold and elaborate paintings covering every surface of the massive palace and we breathed a sigh of relief when we finally exited the doors, thankful for fresh air and personal space. 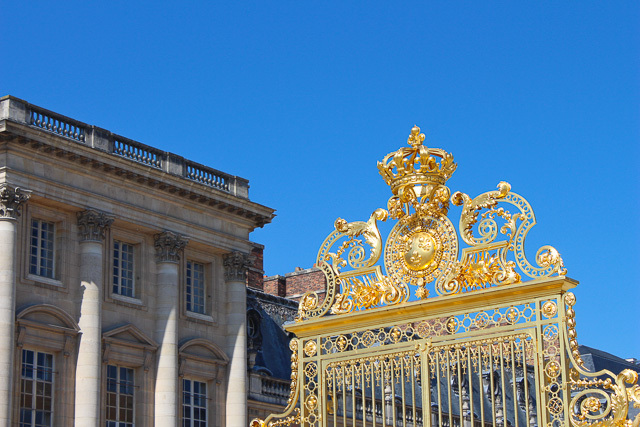 It's clear - the taste for luxury runs deep in the history of France's monarchy and while they may not have survived the revolution, Château de Versailles certainly did. Gorgeous pictures, girl! 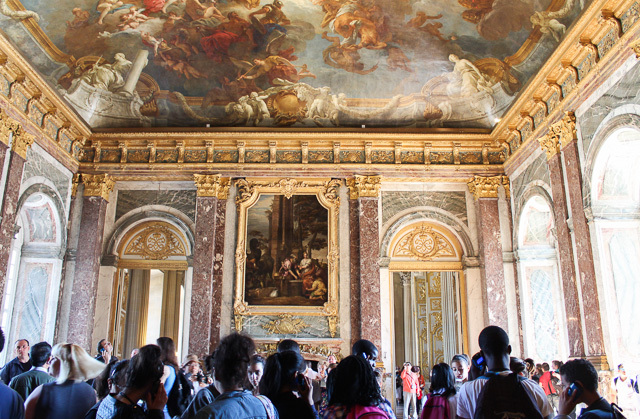 You captured Versailles so well! I'm glad you enjoyed your birthday trip, too! OH and I also hate those iPad carriers. We have cameras and camcorders for a reason. Drives me BONKERS! 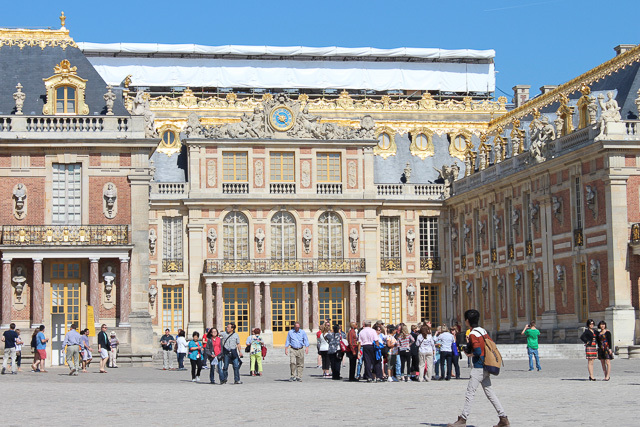 I really love Versailles, but like you struggled with the crowds. It's so beautiful. My daughter is coming for a visit in September & we are planning a dream come true mother/daughter trip to Paris. I want to keep it low key and off the beaten path. I want her to experience the real Paris, not just the tourist stuff. So, I don't think we'll go to this time. Great photos in spite of the rude ipad lady. How beautiful!! 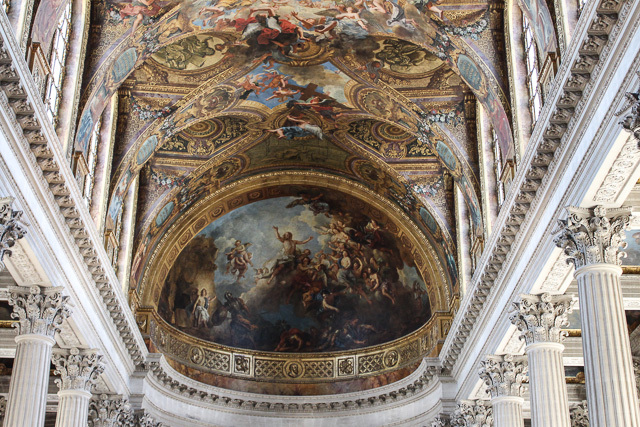 I especially love those painted ceilings! 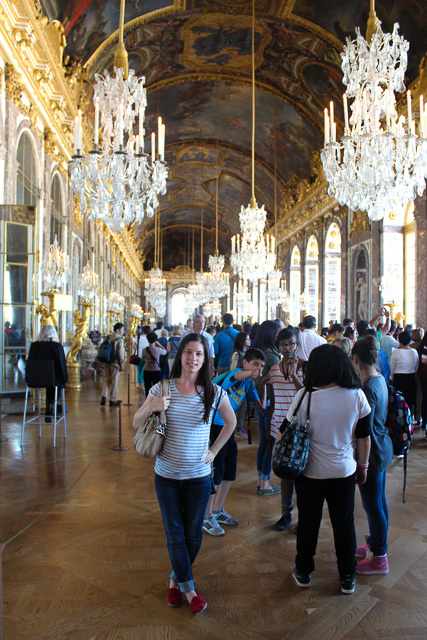 I can't stand most tourist attractions for that same reason - the crowds tend to ruin your photo opportunities! Ooh, I would love to visit there. Paris is on the top of my list of places to go. I hope you have a great weekend. This was actually on a Thursday - I can't imagine it on the weekends!!! holy beyond gorgeous batman!?!? I feel like everyone right now is out traveling and we're stuck here going through icky times hahaha. Love your photos and looove your blog! you know you're old when the first thing you think is, "who CLEANS all of that!?" hehe. glad you enjoyed your visit, iPad drone aside. it looks lovely. 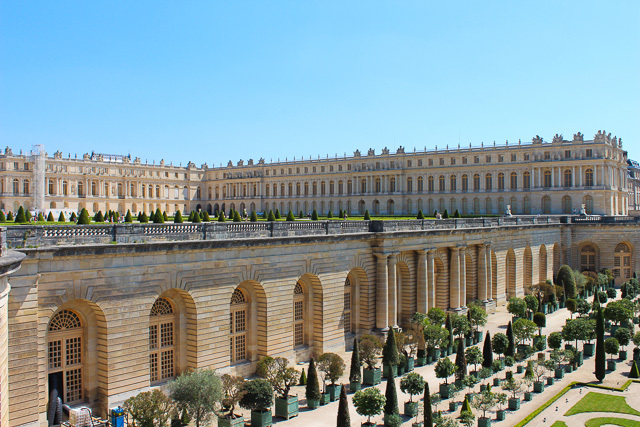 Versailles is number one on my travel bucket list at the moment, every time I see photos, I want to go just that little bit more! 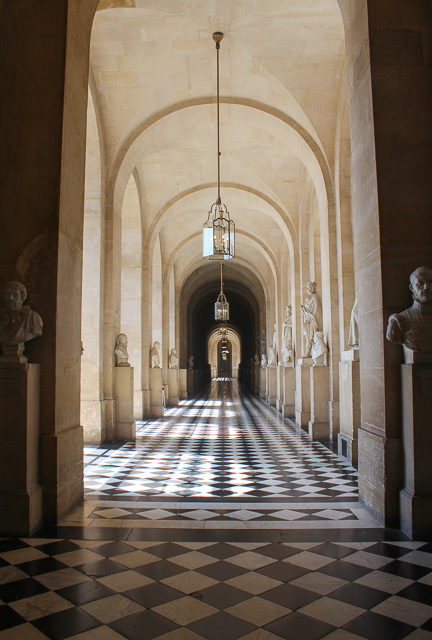 I've been to Versailles twice and would happily go again. It is absolutely magical!